On september 5, 2013 the East River Steering Committee approved the affiliation request submitted by Clara Niosaki for the ERC Skiddaw Land group. The Steering Committee welcomes Clara and the ERC Skiddaw Land group to our community. With the affiliation of the ERC Skiddaw Land group the community expands into the Skiddaw region. 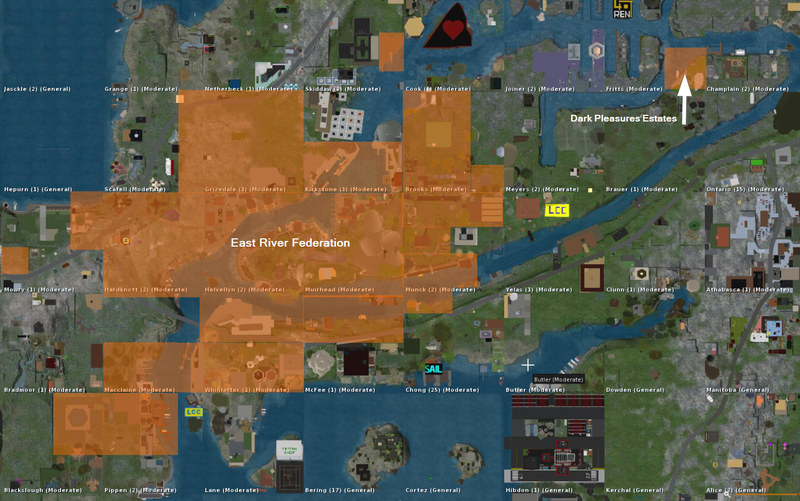 East River is a federation of groups and people which share the same goals and collaborate to maintain a high standard on our corner of Mainland. Any group/land owner can join our community. Please read about our requirements to join here. On august 31, 2013 the East River Steering Committee approved the affiliation request submitted by Ariana Blackheart for the Dark Pleasures Estates group. The Steering Committee welcomes Ariana Blackheart and the Dark Pleasures Estates group to our community. With the affiliation of the Dark Pleasures Estates group the community expands into the Fritts region. 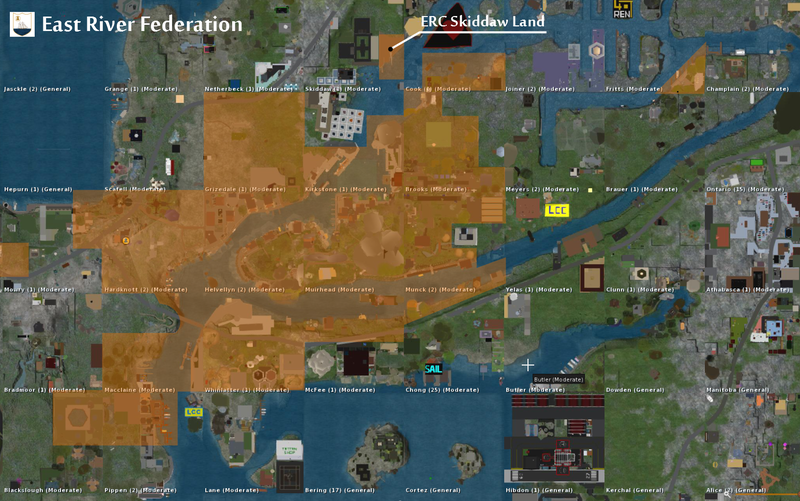 The Dark Pleasures Estates’ land is also the first exclave of the federation, as you can see in the following image.